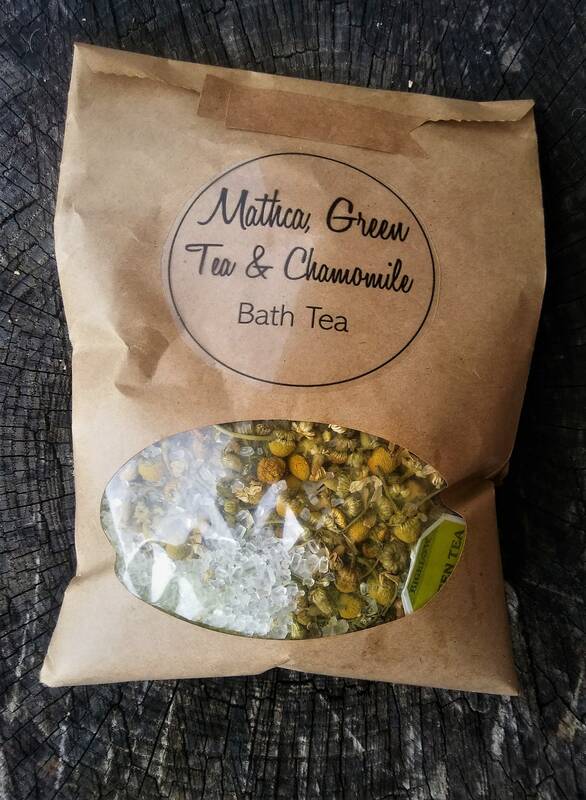 Bath teas are ancient herbal blends that are made to help detox and relax the body. This particular blend is made up of Matcha green tea, epsom salt, dried chamomile and a green tea bag. If you're gonna take a bath you may as well add something extra to liven the experience. This blend is great for a detox, relieves sore muscles and the chamomile is great to help you to relax.